Comments: This beautiful home is modern & better than brand new! Nice features have been added by the seller after buying in 2016. Barely lived in, this 3 bedroom, 2 full bath, 2 half bath, 2 car home sparkles! Off street parking for 4 cars plus plenty of neighborhood parking. 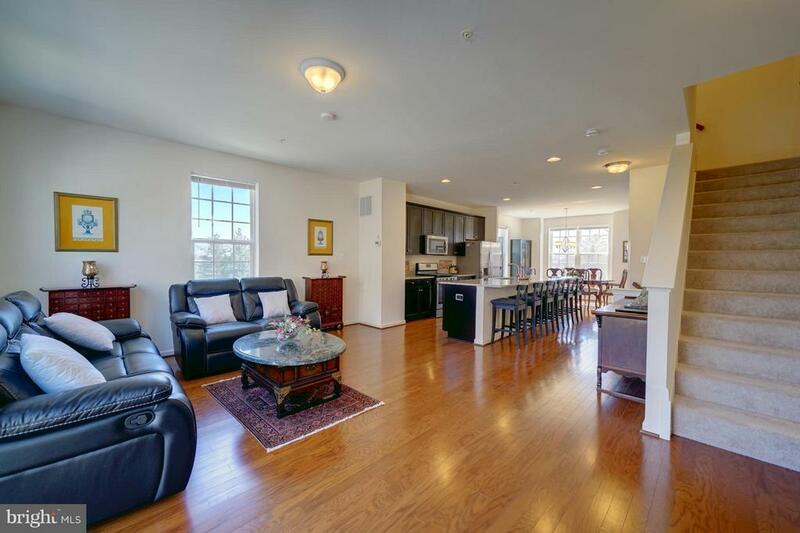 High 9' ceilings and hardwood floors flow throughout the main living area and family room. The gourmet kitchen offers 5 burner gas cooking, stainless appliances, and a Huge island with breakfast bar that easily seats 6! Extra windows on this end unit provide more natural light. The garage has upgraded durable epoxy floor and finished walls adding extra functional space. You can stroll to nearby restaurants and the library. It's located close to Medstar Health/ Franklin Square Hospital, a farmer's market, Rts 695 & 95, White Marsh, CCBC, parks & downtown! New homes with like features cost much more! See this beautiful home today!